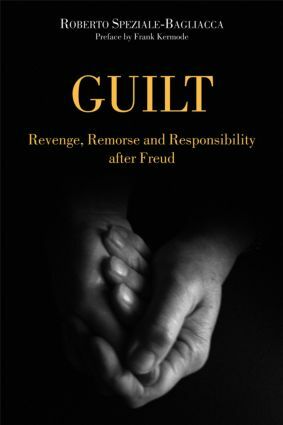 Guilt is an original, closely argued examination of the opposition between guilty man and tragic man. Starting from the scientific and speculative writings of Freud and the major pioneers of psychoanalysis to whom we owe the first studies of this complex question, Roberto Speziale-Bagliacca goes on to focus on the debate between Klein and Winnicott in an enlightened attempt to remove blame and the sense of guilt from religion, morality and law. Drawing on an impressive range of sources - literary, historical and philosophical - and illustrated by studies of composers, thinkers and writers as diverse as Mozart and Chuang Tzu, Shakespeare and Woody Allen, Guilt covers a range of topics including the concept of guilt used within the law, and the analyst's contribution to the client's sense of guilt. Previously unavailable in English, this book deserves to be read not only by psychoanalysts, philosophers. scholars and forensic psychiatrists interested in the theory of justice, but also be the ordinary educated reader.